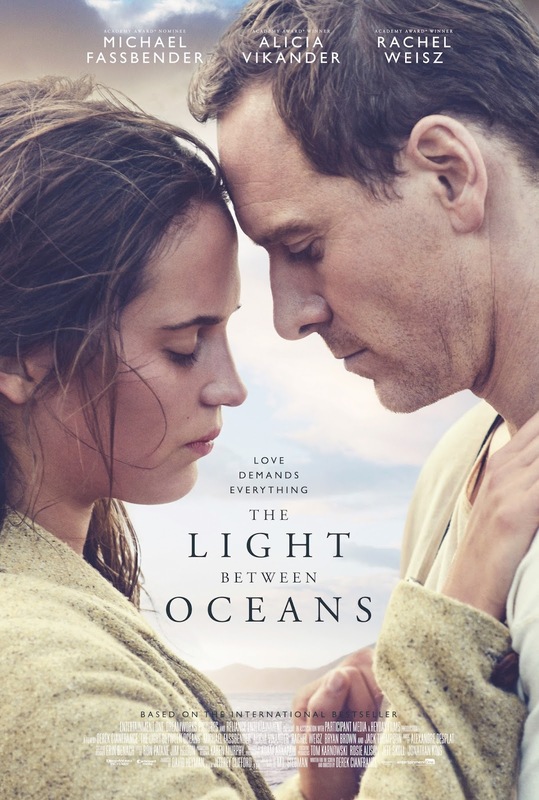 We're happy to offer our readers the chance to attend a free screening of The Light Between Oceans, starring Michael Fassbender, Alicia Vikander, and Rachel Weisz! SYNOPSIS: In the years following World War I, Tom Sherbourne (Michael Fassbender), a young veteran still numb from his years in combat, takes a job as lighthouse keeper on Janus Rock, a remote island off the coast of Western Australia. As the island’s sole inhabitant, he finds comfort in the monotony of the chores and the solitude of his surroundings. When he meets the daughter of the school’s headmaster, Isabel Graysmark (Alicia Vikander), in the local town of Partageuse on the mainland, Tom is immediately captivated by her beauty, wit and passion, and they are soon married and living on the island. As their love flourishes, he begins to feel again, their happiness marred only by their inability to start a family, so when a rowboat with a dead man and infant girl mysteriously washes ashore, Isabel believes their prayers may have finally been answered. As a man of principle, Tom is torn between reporting the lost child and pleasing the woman he loves, and against his better judgment he agrees to let Isabel raise the child as their own, making a choice with devastating consequences. The screening takes place on Monday, August 29th at 7:00pm at AMC Mazza Gallerie. If you'd like to attend, simply register at the SeeItFirst site here and enter code 548256 to download an Admit-Two pass. Please note that having passes does not guarantee entry and you'll need to arrive early to ensure receiving a seat. Enjoy the show! The Light Between Oceans opens September 2nd. First Cut Of Tom Holland And Daisy Ridley's $100M 'Chaos Walking' Deemed "Unreleasable"